Romana and Leela take a holiday, and it goes just as swimmingly as you’d expect. Locked out of the Matrix by malware bent on taking her over, Romana heads off to a resort planet with her reluctant gal pal, Leela. They’re treated to a brief breather before all hell breaks loose (as it will continue to do all the way through the end of Season 3, at least, since that’s as far as I’ve gotten on previous listen). Of course, something nasty in the form of a not-quite-dead mangled man arrives to disturb their R&R. I’ve heard both Lalla Ward and Louise Jameson cite Spirit as one of their very favourite Big Finish stories, for reasons that become obvious when you hear it. Most of this audio is just a thoroughly enjoyable character study of President Romana and her reluctant bodyguard. Gallifrey addresses what the shoehorned ending of Invasion of Time does not: what keeps Leela on Gallifrey, and how has it changed her? Why does she stay once Andred has disappeared from her life? Can she trust the Time Lords? Can she trust Romana? Can we? Romana, meanwhile, reveals a little more of the sparkling personality we recall from TV, which she’s mostly had to subsume as president. It’s a last chance to take stock of who she is before the unfolding disaster begins to change her. But it’s not just talking heads. Dravidia 7 is a vivid setting, and there’s some spooky and horrific sequences with the mysterious “broken man.” Apart from him and a couple secondary minions — one of whom turns out to be less appallingly one-dimensional than she seems — this is a two-hander, and a good one. 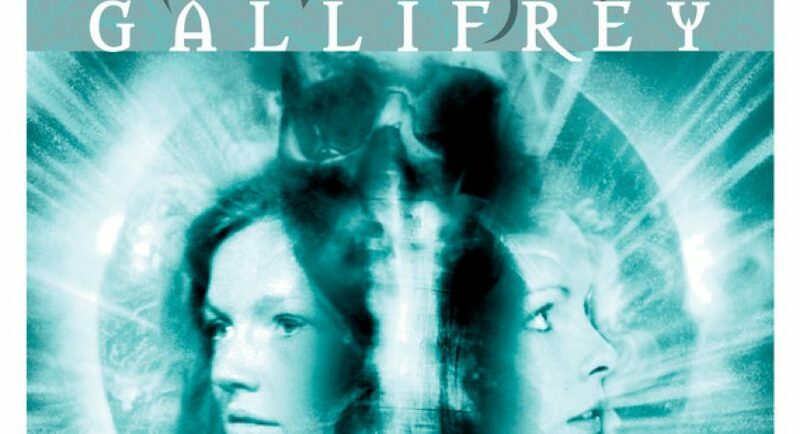 I’ve cited this as my favourite Lalla Ward audio, for the window sequence alone. On this re-listen, I felt she went a little over the top at times (both she and Lou Jameson have an opportunity to flex their acting skills), but it’s still a memorable moment in Doctor Who and a fun story for fans of two strong female characters. It’s also significant that this came out shortly after the new Doctor Who series began. It’s probably just as well, as the Main Range was struggling a bit to wrap up the Divergent Universe arc and muddle through some less-than-stellar scripts (Catch-1782). It’s interesting to see how Gallifrey and Series One were handling the power imbalance between Time Lord and human (Romana and Leela, Nine and Rose). I originally thought that Romana and Leela had done a straight personality swap, but it’s not that simple. They’re “jumbled up” with a little of each. Romana has picked up some of Leela’s spiritual and emotional sensitivities, but they seem to be overwhelming her at times. Leela is never that hysterical! Still, even while impaired, Romana manages to solve the riddle of the “broken man” (which I didn’t entirely understand on first listen; now I do). Leela handled Time Lord information overload far better; she just sounds grumpy. I think Lou won the imitation game, but it’s fun to hear each of them mimicking the other’s mannerisms. I liked the conversation between Melian and Leela about Time Lords. Leela doesn’t get a chance to compare notes (or commiserate) with an outsider very often. And Melian was a rather annoying character, so I’m glad she turned out to be a little more complicated than she seems to be.